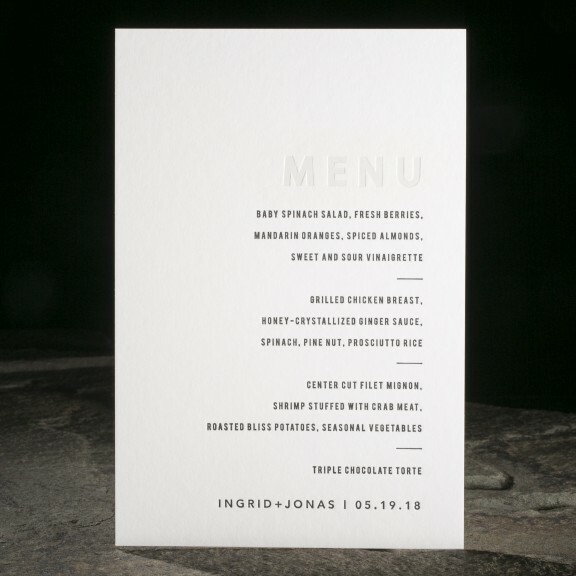 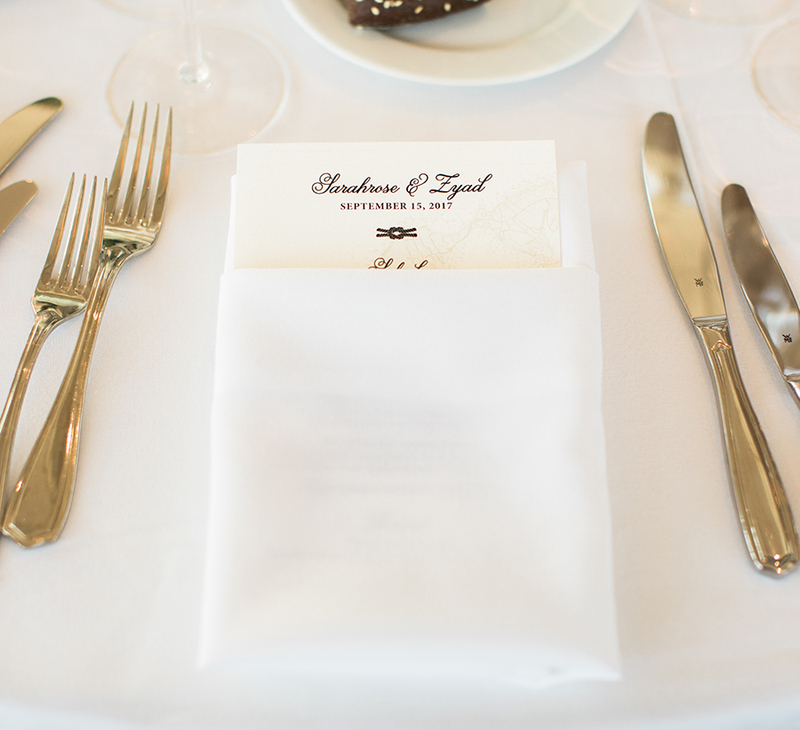 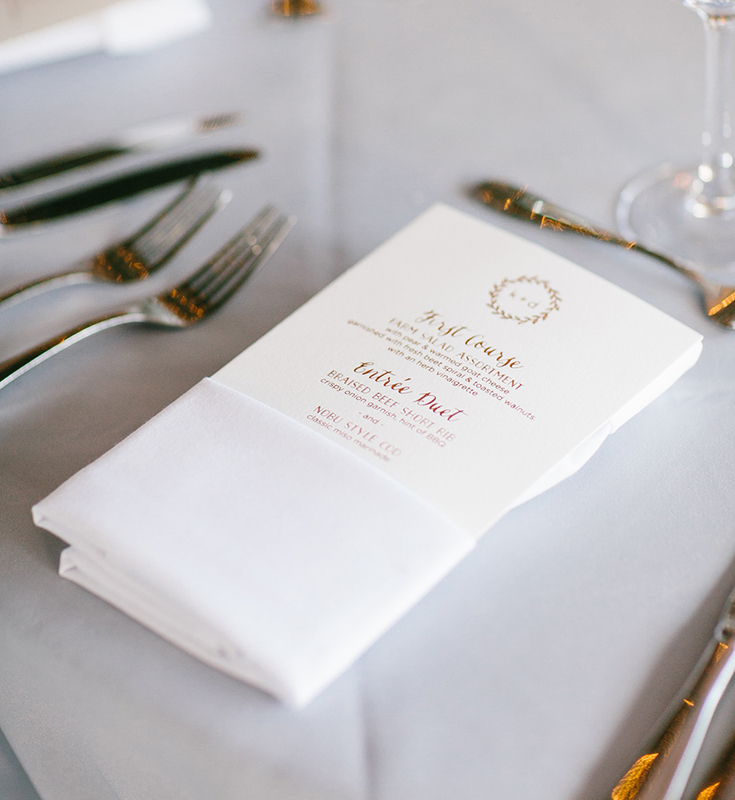 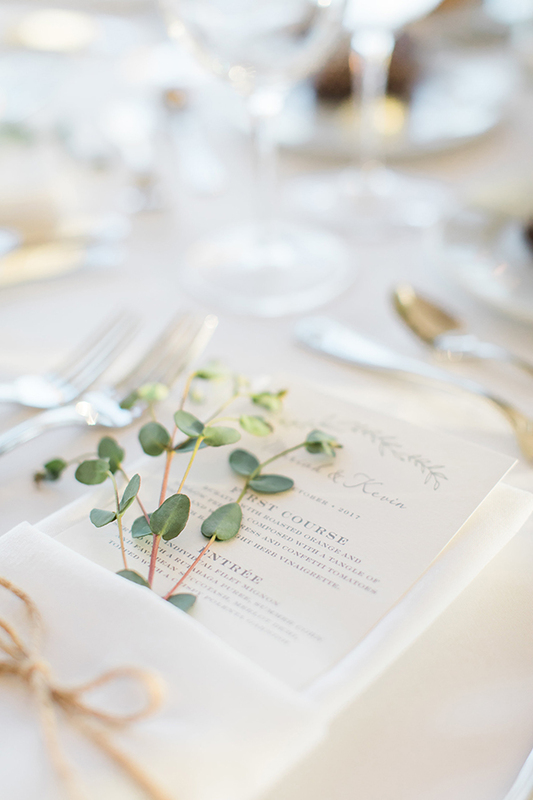 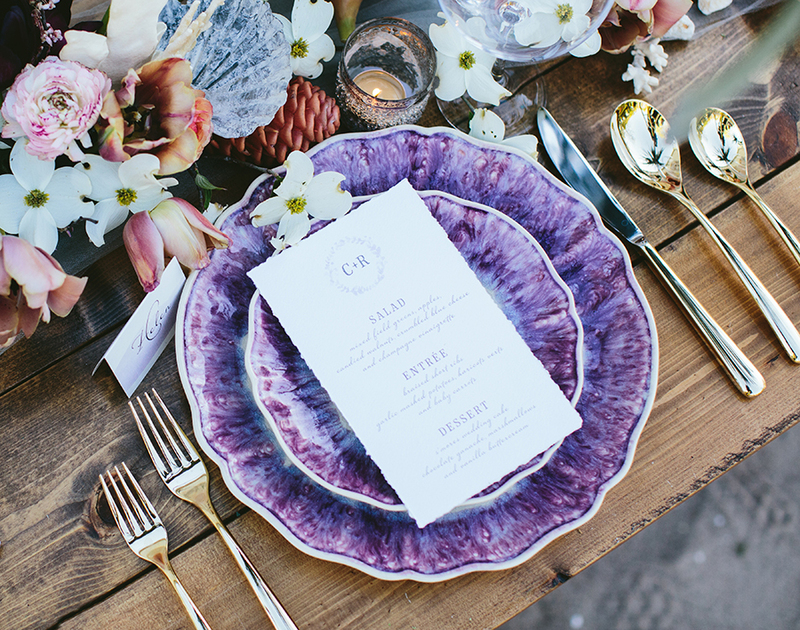 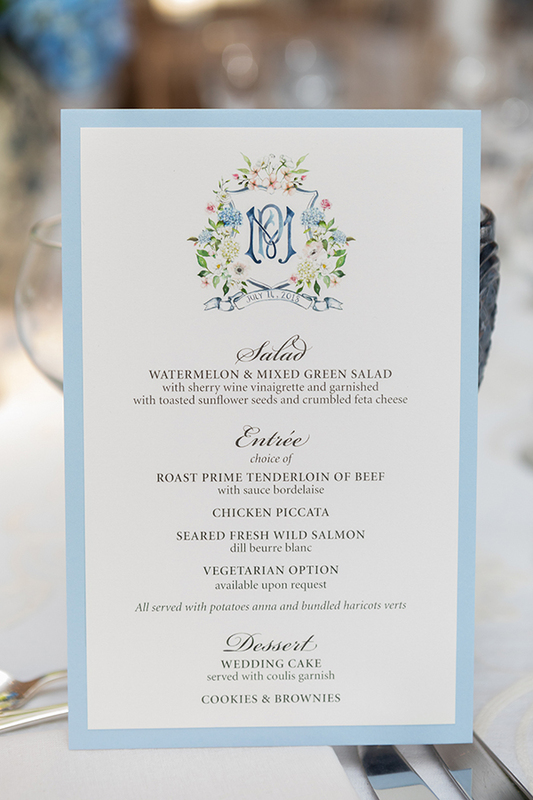 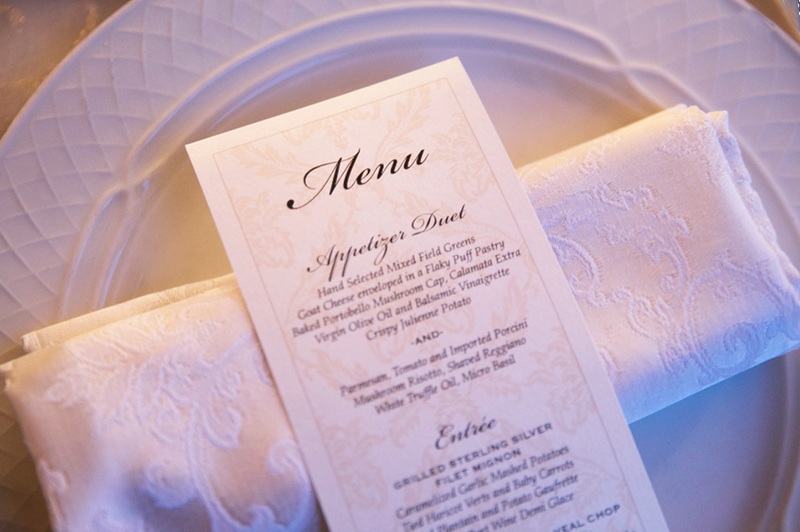 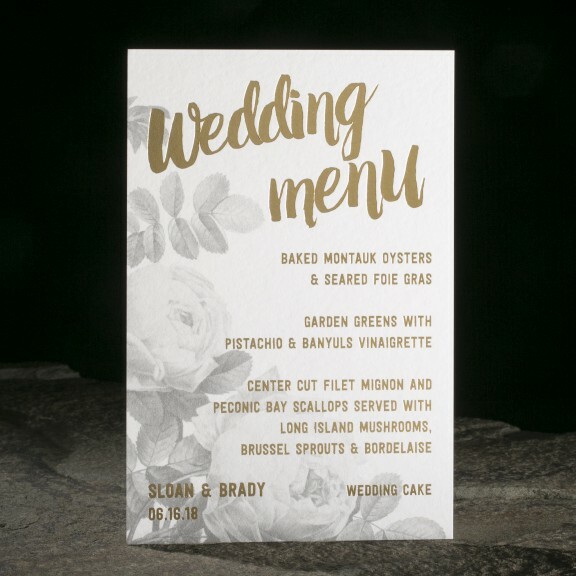 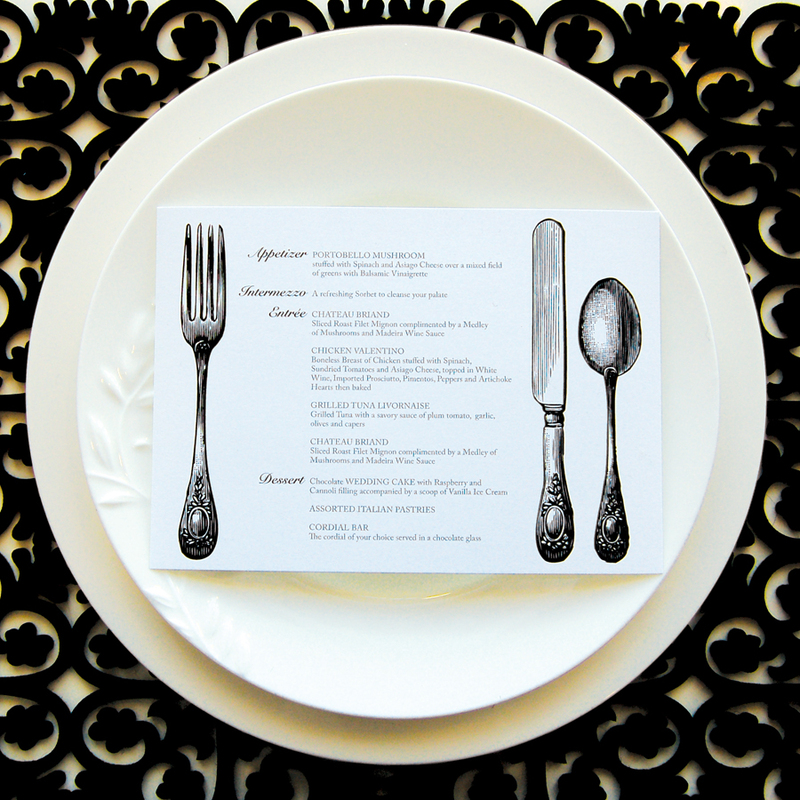 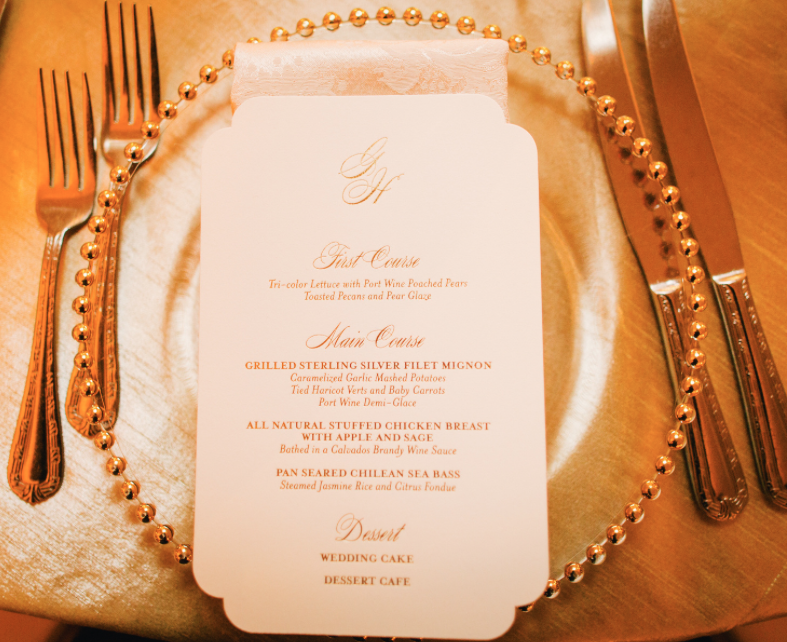 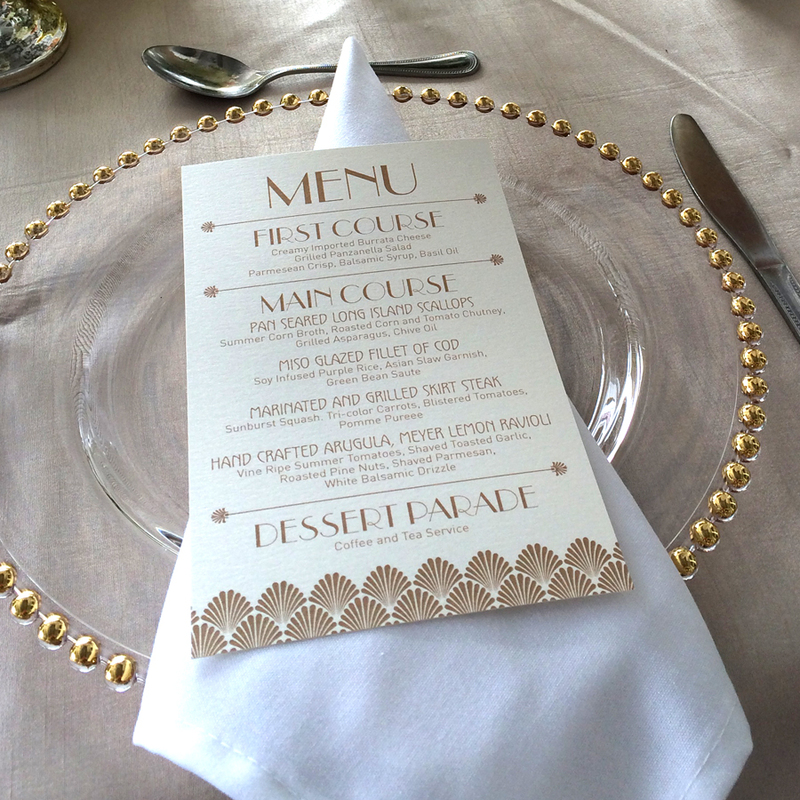 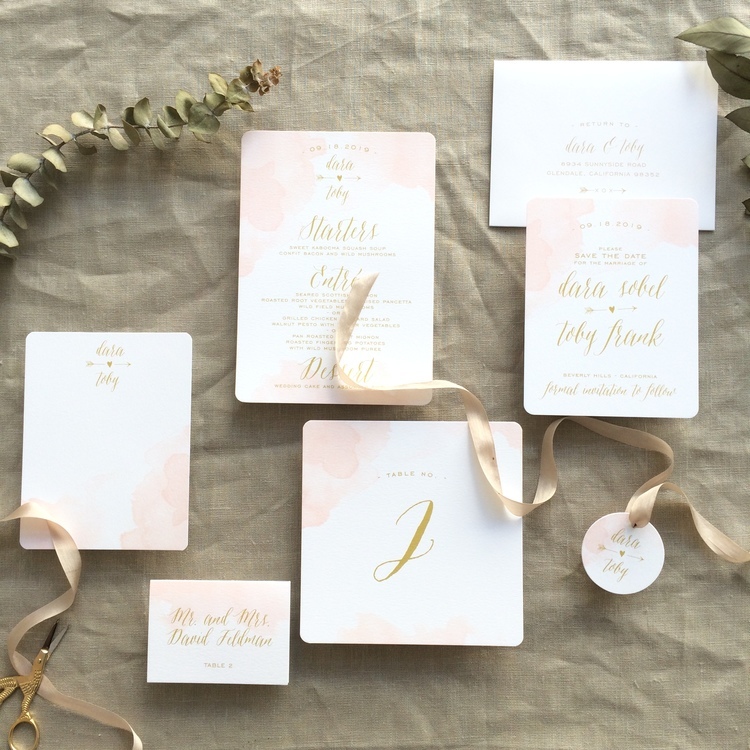 Menu cards are generally used for sit-down dinners at wedding receptions or events. 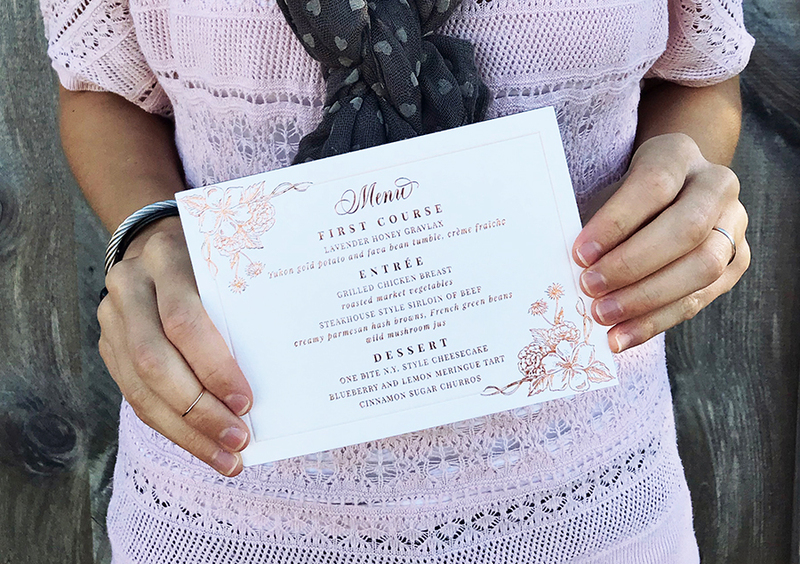 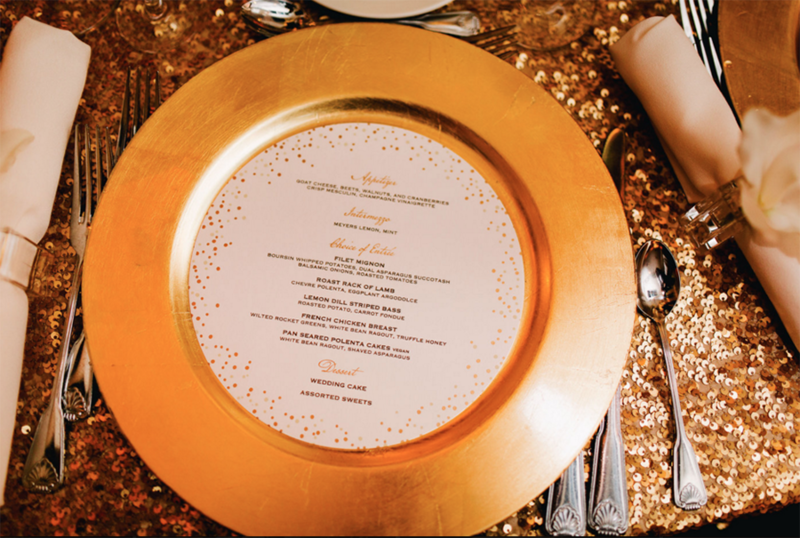 Not only do they enhance the look of each place setting, but they also help pair food and wine choices and allow for a more comfortable experience for guests with allergies or food restrictions. 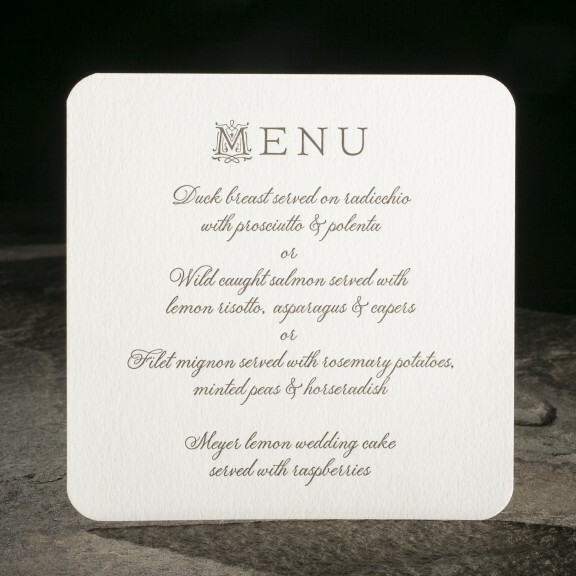 Also keep in mind, receptions can be loud making it difficult for some of your guests to understand the server.